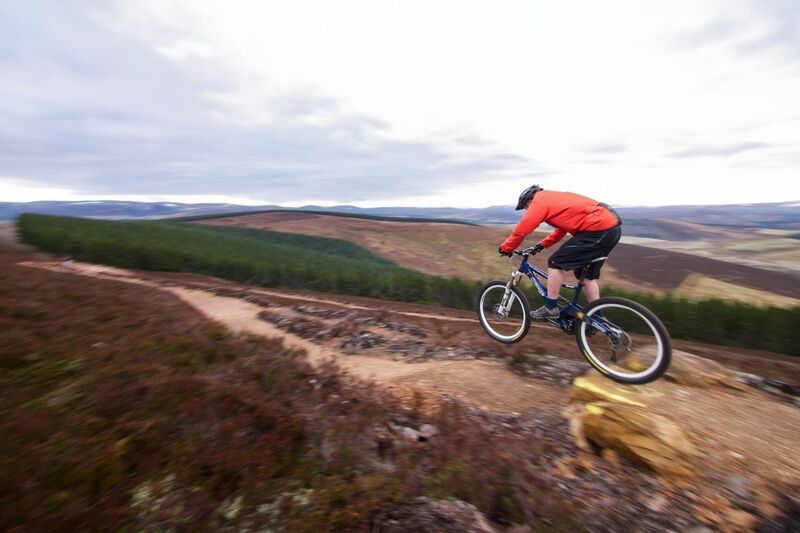 The mountain biking trails on the Glenlivet Estate will close over winter to allow felling of infected trees. The BikeGlenlivet trails and café will close at the end of October and are expected to re-open in time for Easter 2018.The closure will allow for essential tree felling, as the majority of the Lodgepole Pine trees in the area are infected with Red Band Needle Blight. The Glenlivet Estate Visitor Centre in Tomintoul will remain open for the duration, as will the extensive network of walking trails across the Estate. Cyclists will also be able to use other areas of the Estate and alternatives cycle routes will be suggested. The Coffee Still Café on site will also shut whilst the works are taking place. The trails were opened in November 2013 by Richard Lochhead MSP, and have since attracted more than 47,000 riders. Most cyclists use the trails during the main tourist season from April to October. The trails were developed by The Crown Estate to boost the local tourism offering. The trails – which include a 9km blue grade trail and a 13km red grade trail – have been graded four-star by VisitScotland, and were expanded in September 2015 with the addition of a pump track next to the cafe. Read more about the BikeGlenlivet trails.